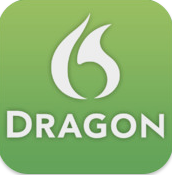 Dragon Dictation - All about apps in YOUR classroom! Have you ever wanted to record all of your students' thoughts, stories, explanations and justifications? What about having students who struggle with the written language be able to express their thoughts within the confines of an easy-to-use app? Dragon Dictation, or "Dragon" as the icon shows it in the iTunes App Store, answers both of those questions and more. With this app, students can speak into the iPad's microphone and have it transcribe every spoken word. It may seem pretty far-fetched, but one sample of the app in action will certainly turn any skeptic into a believer. After finishing a dictation, students can go back and edit specific words or entire sentences. There are plenty of languages available within the settings of the app, so English Language Learners could speak their thoughts in their native tongue and send you the transcription. From there, use Google Translate to translate the work that was submitted. If you are looking for more specific ideas or examples of how to use Dragon Dictation, please feel free to contact us.